containers have been recycled through the ABD recovery system. Here at ABD service is everything; it’s part of who we are. In 2002 our founders changed the industry by providing the first truly reliable bottle pick-up service. 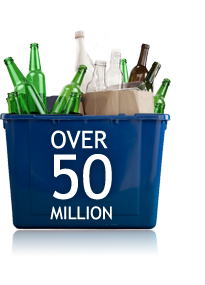 Today ABD continues to set the standard by which commercial recycling services are held. Our “Clean Cart System” represents our ongoing commitment to provide our customers with the highest quality of service for their recycling needs. Please explore our site to learn more or simply fill out our Request a Quote below and one of our Account Managers will contact you shortly.